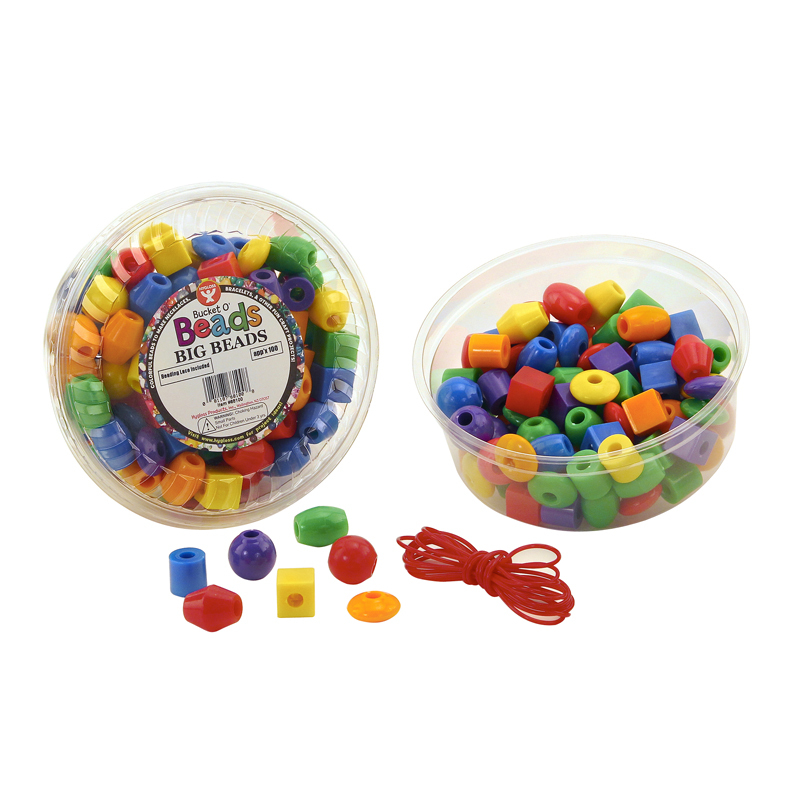 Big Beads are sure to keep little ones stimulated and happy. The beads are excellent quality and can be reused over and over. 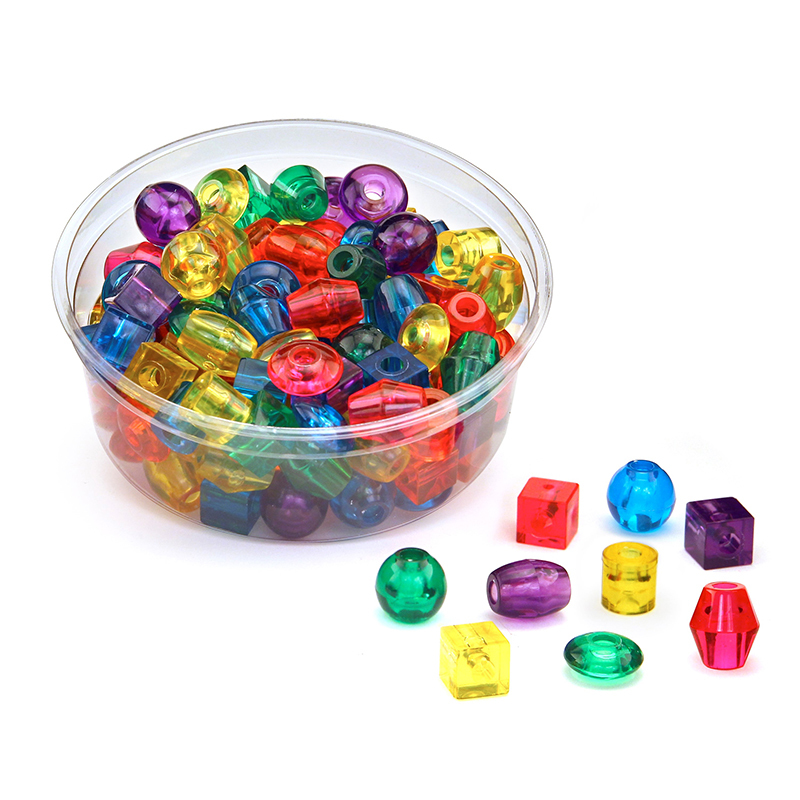 Help children develop fine motor skills, hand-eye coordination, color differentiation, sorting and grouping with these fun and vibrant Big Beads. Translucent beads come in 6 different shapes: cubes, balls, ovals, saucers, cylinders, bicones. The large holes make it easy to thread. Lacing lanyard included. Beads range in size from 3/4"-1". Preschool teachers enjoy using these beads as a fun and relaxing educational activity. Includes 16 oz (approximately 100 beads). The Big Beads Translucent can be found in our Beads product category within the Arts & Crafts. Pony beads are a great option for use in making necklaces, bracelets, key chains and much more. All pony beads measure 6 mm x 9mm. 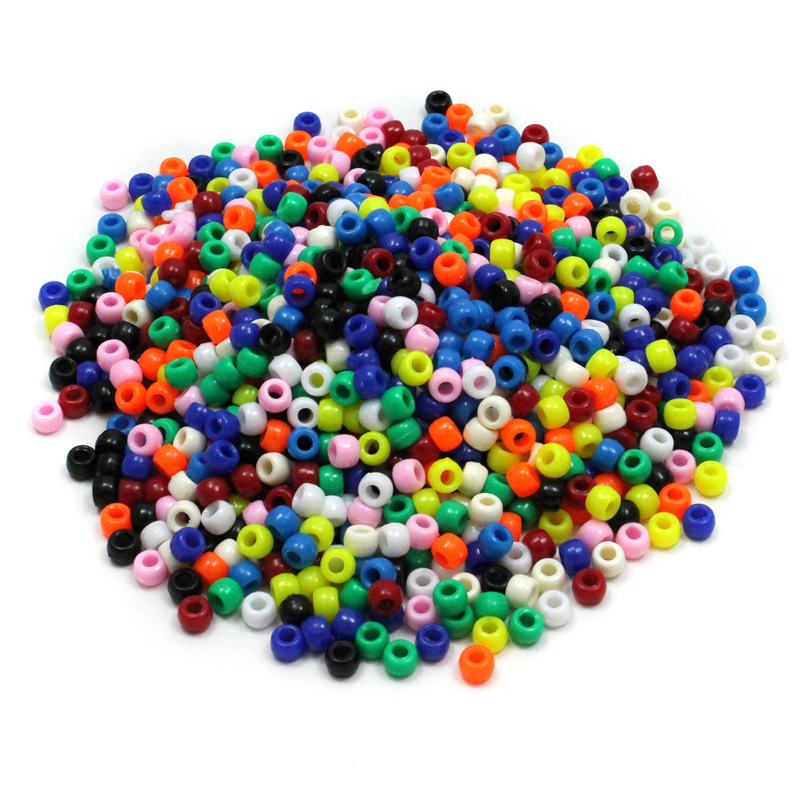 Each pack includes 1000 beads in assorted bright hues.